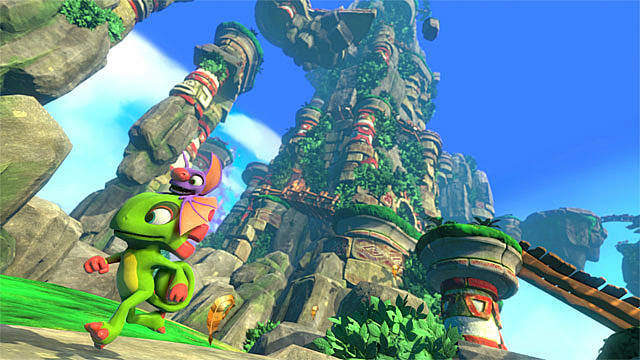 Playtonic Game's long awaited collect-a-thon revival game Yooka-Laylee, recently released to mixed reception, while Sumo Digital's all new platformer, Snake Pass, released only a short time before with slightly better reviews than its kickstarted rival. Some expected Yooka-Laylee to be the better of the two due to its lineage and weren't sure what to expect with Snake Pass, while others thought Yooka-Laylee was a waste of time stuck in the past and were excited to see what Snake Pass had to offer. While both fill voids in the genre, here are some comparisons between the two 3D platformers to help decide if one is truly better than the other. 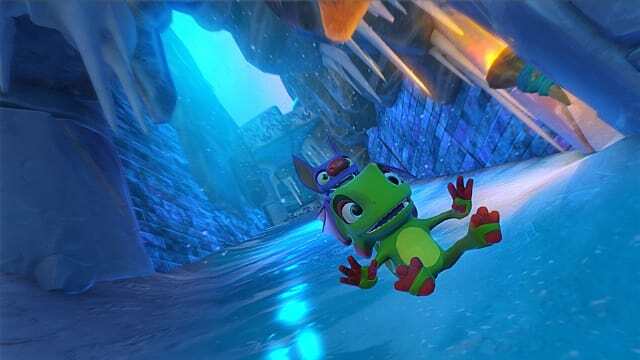 Yooka-Laylee could have been the game to make 3D collect-a-thon platformers popular again, but it offered nothing new in terms of gameplay. 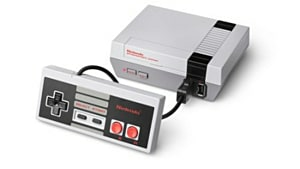 Instead, it took its gameplay straight from its predecessors, making it feeling outdated and derivative. 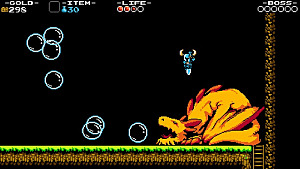 All of the features of older 3D platformers comprise its gameplay: jump, double jump, attack, drop attack. 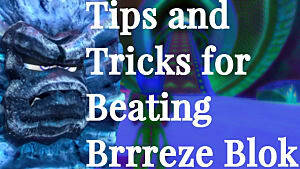 On top of that, other seemingly outmoded features such as on-rails sections, copious item collection, and just about everything players remember from games like Banjo Kazooie is found here. 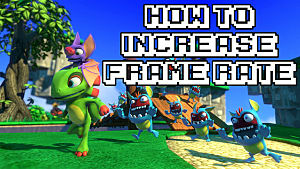 This would be fine if Yooka-Laylee expanded upon those mechanics, adding new unique twists to each one, but instead, it keeps them the way they are, making the gameplay rather ordinary and somewhat boring. Snake Pass is a Similar Concept with a Twist. On the other hand, Snake Pass does things a bit differently. 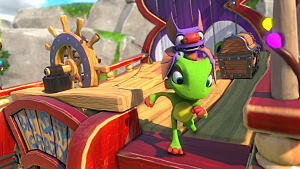 Sure it has plenty in common with Yooka-Laylee: Both games star a reptile with a flying companion, both are inspired by 3D platformers of the past, both have great soundtracks, and both are available on just about all modern consoles. 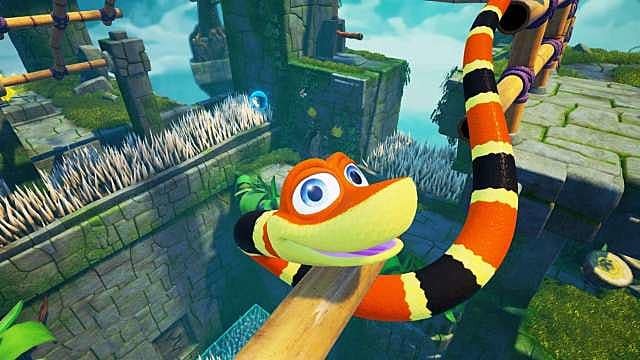 But one of the reasons players may be enjoying Snake Pass more is because of its unique mechanics. 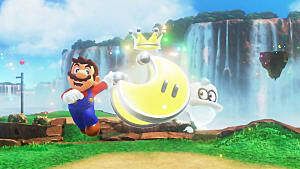 The movement of the main character, Noodle, is based off of how real life snakes slither, rather than the usual running and jumping seen in other 3D platformers. 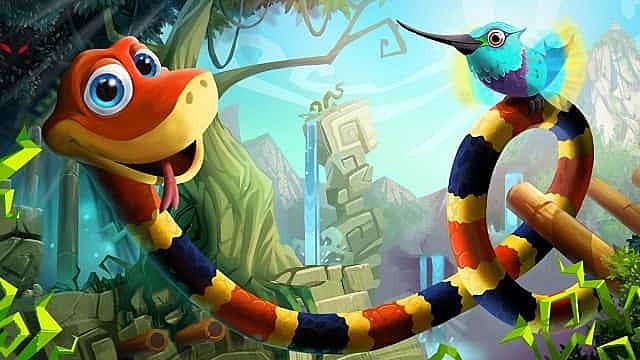 Snake Pass focuses more on originality and figuring out how to get from one part of a level to the next while avoiding deadly obstacles in a novel and interesting way, rather than doing its best to be a proper spiritual sequel to an older game. 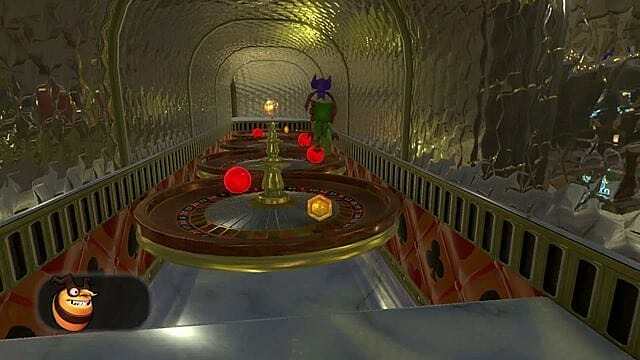 Yooka-Laylee isn't the first 3D platformer to be in HD, but it is the first Banjo Kazooie spiritual successor to be -- unless you actually count the much-derided Banjo Kazooie: Nuts & Bolts as a successor for some odd reason. "While it’s bright and colorful, the game’s choppy framerate and wonky physics mitigate any pleasure one might derive from the graphics. Stages aren’t particularly detailed in their design, featuring lots of basic blocks, platforms, and ramps, while characters themselves are mildly endearing if somewhat forgettable. 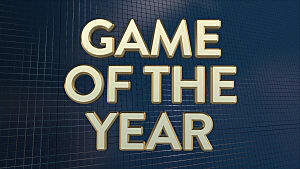 It’s the kind of game that looks far better in screenshots than when viewed in motion." Despite having the colorfulness of games like Banjo Kazooie, it seems as if the graphics of Yooka-Laylee haven't improved all that much. "As you improve, the momentum you build in gliding up and over obstacles can lead to some wonderful sights -- there's something instinctively satisfying about seeing a snake's tail chase after its head, especially knowing you were the choreographer. 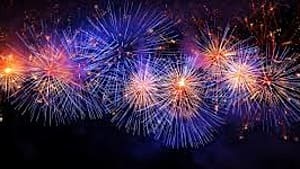 And that's helped by the vibrant character and environment art, the latter of which accentuates each world's natural beauty, while the changing color palettes make each level appear distinct from the last. This is a game whose sense of motion is palpable, with platforms whizzing by and moving reptilian stripes attracting the eye - -and yet I often found myself gazing at a distant treeline or glowing collectible orb." A stark contrast to Sterling's comments on Yooka-Laylee, the smooth quality and vibrancy of the environments in Snake Pass help show another way it manages to keep the 3D platformer genre fresh, instead of sticking to the basics. Working off that, the reviews for Yooka-Laylee have ranged from the low side of positive to astoundingly negative. 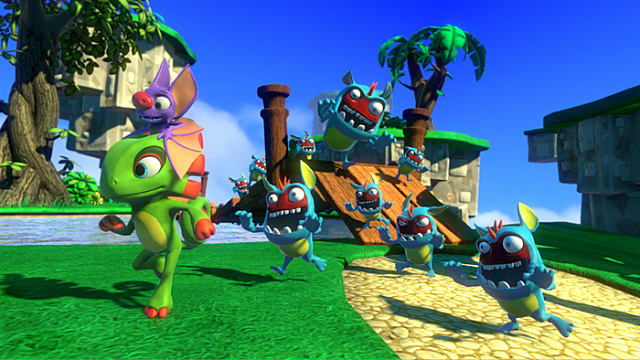 Most reviewers agree that Yooka-Laylee succeeds in copying the framework laid down by games like Banjo Kazooie and Conker's Bad Fur Day, but at the same time, it doesn't bring anything new to the table, which narrows its key audience. Due to its outdated gameplay mechanics, bringing nothing new or interesting to the formula, and its questionable graphics, Yooka-Laylee has not been able to reach its full potential. Oddly enough, the best review scores for Snake Pass are only slightly higher than the review scores for Yooka-Laylee, and as of this writing, both games have the same metascore (Snake Pass does have a slightly higher user score, though). 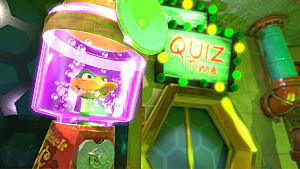 This may be because players are not accustomed to the unique gameplay of Snake Pass, and reviews claim the game expects you to learn everything a bit too quickly. 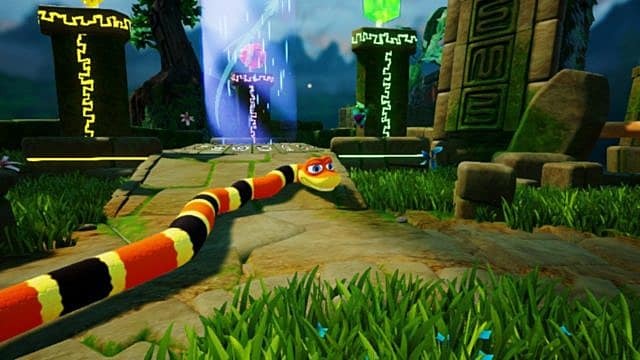 But unlike Yooka-Laylee, players do actually learn in Snake Pass, rather than staying inside of their comfort zone. Yooka-Laylee was also involved in a rather interesting, albeit short-lived, controversy where a Youtube personality was removed from the voice cast due to some controversial statements made prior to the game's release, which you can read more about here. The only problems Snake Pass seems to have are awkward camera positions, the previously mentioned claims it expects you to learn its unique mechanics a bit too quickly, and that the main characters are (arguably) not as charming as the mascots of the platformers which came before them. These frustrating problems are likely the reason why its review scores aren't much higher than Yooka-Laylee. Despite having astoundingly similar reception, from this evidence it's clear to see Snake Pass is the better modern 3D platformer of the two, albeit only slightly. Snake Pass introduces a new interesting game mechanic, has the graphical advantage and better-looking environments, and is also half the price of Yooka-Laylee. 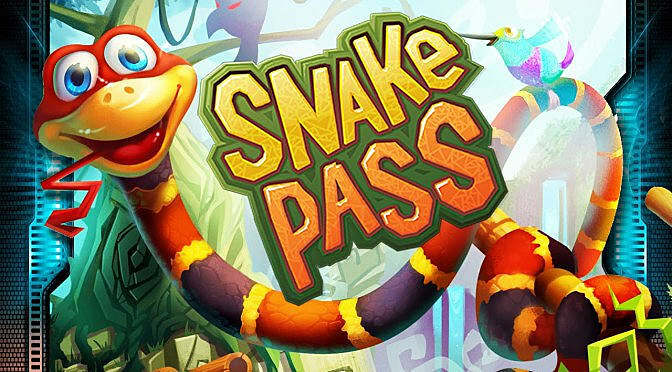 You can buy Snake Pass for $20 on the PlayStation Store, Xbox One Games Store, Nintendo Switch eShop, and PC. However, if you're still interested in Yooka-Laylee, you can buy it for $40 on the PlayStation Store, Xbox One Games Store, and PC. It will be available on the Nintendo Switch eShop in the near future. And if you're not quite sure about Yooka-Laylee, the game's publisher, Team 17, has a handful of other great games for players to enjoy -- such as 2016's multiplayer smash hit Overcooked! 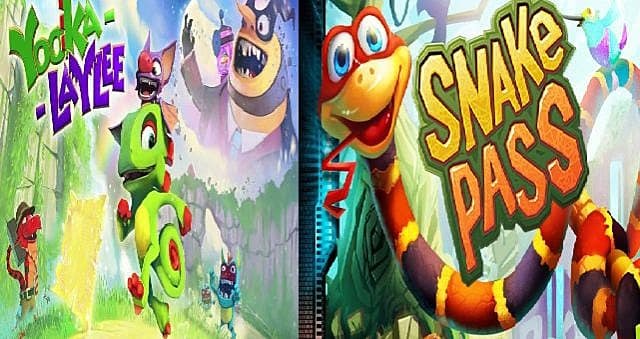 Which platformer do you prefer, Snake Pass or Yooka-Laylee? Sound off in the comments below!